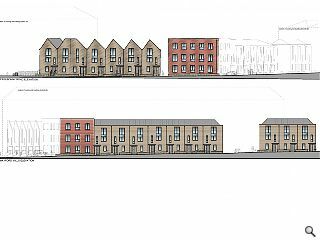 A disused mill complex at Cambusbarron, Stirling, is to be brought back to life after Allanwater Homes submitted plans to convert the last remaining parcel of the site to residential after the previous developer, Leith Properties, went bust. Hayford Mills has largely been converted into housing save for an undeveloped portion that now consists of little more than a low-lying portion of outer stone wall. Bracewell Stirling Consulting have been brought on board to develop the current proposals which aim to respect the aesthetic and materials of the surrounding industrial heritage. 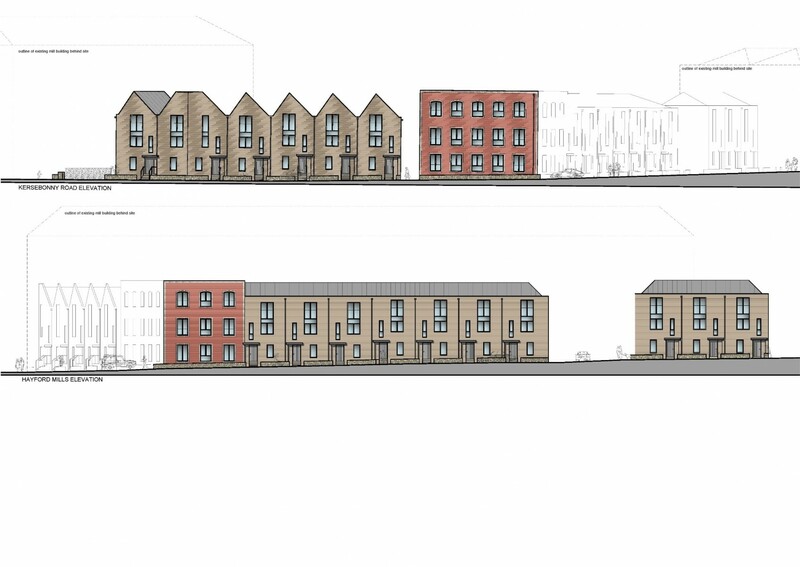 Comprising a mix of flats and townhouses the project will be finished in red and cream brickwork with clipped eaves and exposed metal entrance canopies reinterpreting features present on the original mill buildings.